When you wing it, you miss things. When you know how things are really going at your facilities—with data that tells you just how often your standards are being met—you’ll always be a step ahead. Hold contractors to their SLAs. The Village of Lisle in Illinois adjusts payments to their janitorial services contractor based on level of performance. 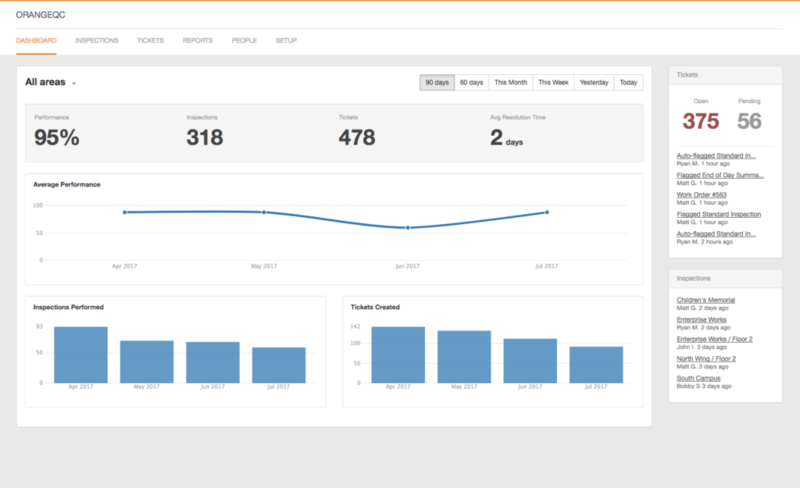 They use OrangeQC to inspect, track, and report back on the quality of work—with photos, GPS, and timestamps to back them up. They’ve successfully linked payment to performance, which has improved service and saved money. 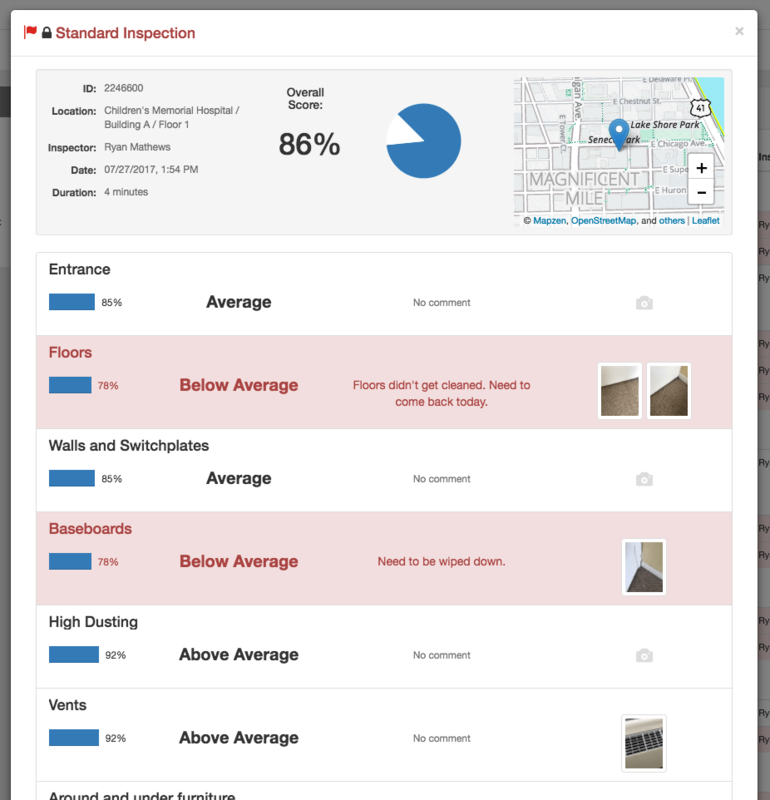 OrangeQC’s powerful cleaning inspection software helps you show your in-house janitorial team exactly where they need to improve. Show inspection photos of things done wrong, or point out trends in how the site is doing over time.